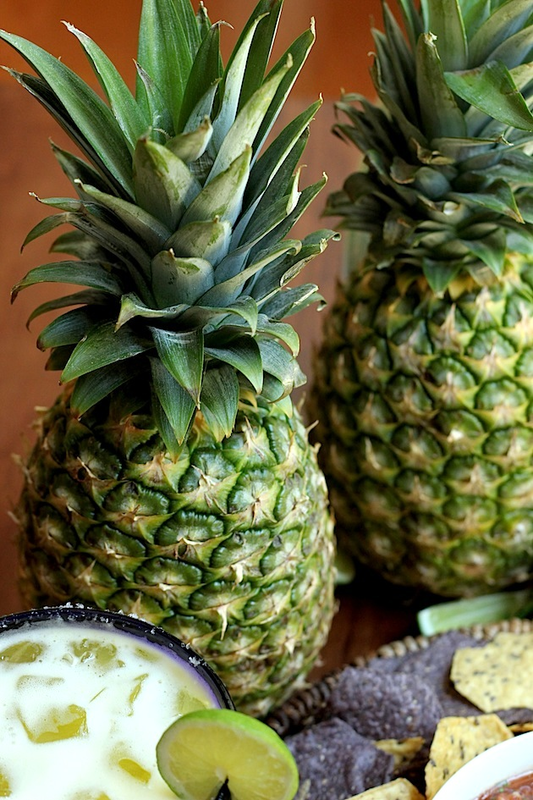 I started with a plain margarita recipe, tweaked it a bit, and brought in some sweetness by using the juice of pineapples and oranges that I whipped up in my blender. I strained out the pulp and simply added the juice to the plain margarita until I got my desired level of taste and sweetness. It's totally worth making your own juice here as opposed to using the store bought stuff! The drink is just fresh with just the right amount of sweetness and tartness. 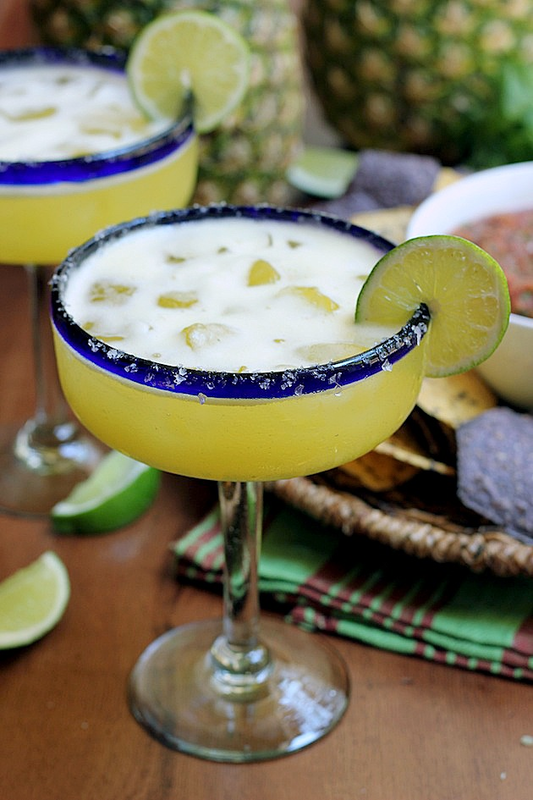 Therein lies the beauty of a margarita. It can be really good plain and really good when fresh, sweet, ingredients are added to it. I sipped on this last Sunday with a side of my homemade salsa and chips and it made for the perfect afternoon. Have fun and be safe if you are out celebrating! 2. Add ice to a shaker along with the remaining ingredients. Shake until the shaker is frosted on the outside - about 30 seconds. Taste and adjust for more alcohol or juice if necessary. 3. 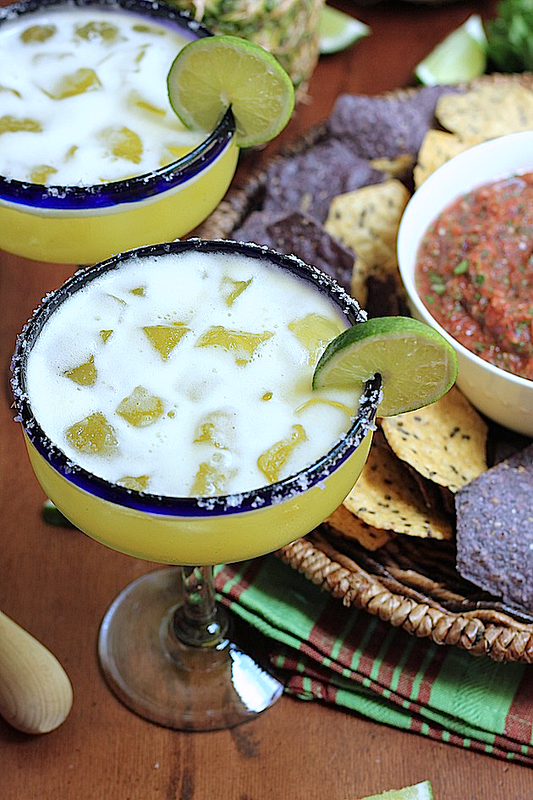 If using salt, run a lime on the outside of the margarita glasses. Dip the rims of the glasses into some salt. Add ice to the glasses. 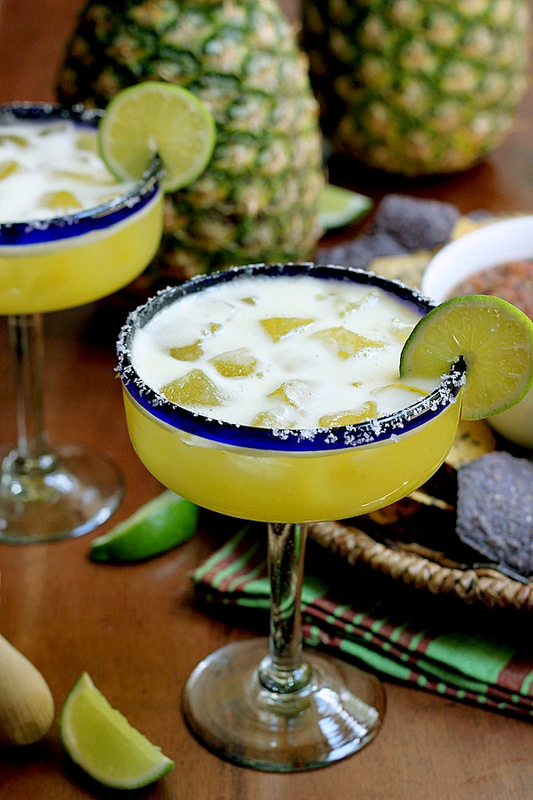 Strain the margarita into the glasses and enjoy! !